Configurator! What on Earth is a Configurator? Configurator! What on Earth is a Configurator? 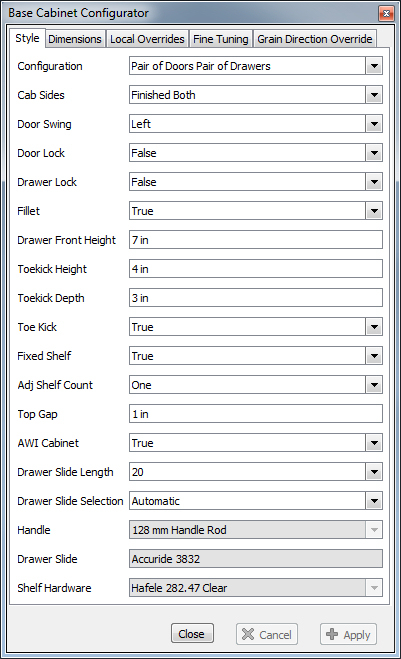 Home › Visitor › What is a Configurator? So what exactly is a Configurator? 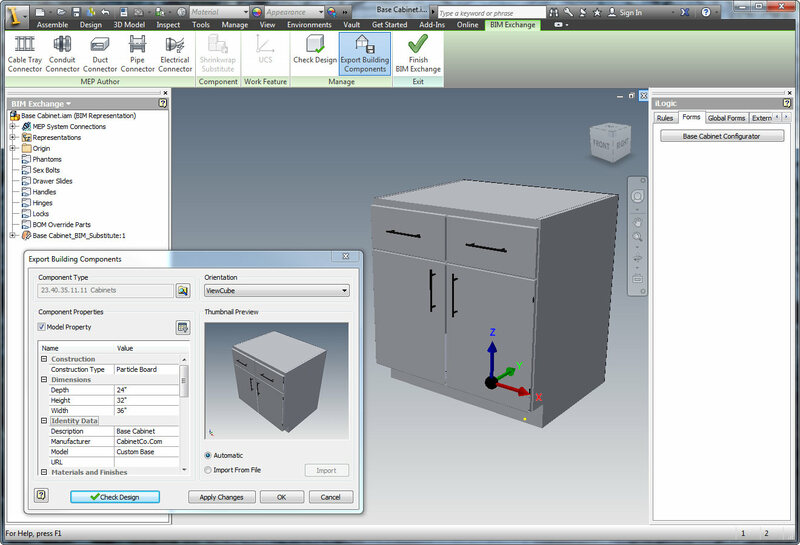 A configurator can generally be classified as one of two major types, a Product Configurator or an Engineering/Design Configurator. Both of them are tools that allow someone to configure something –simple as that. The difference between the two types of configurators is who does the configuring, and what is being configured. Most people have run across a web-based Product Configurator of some sort if they have spent much time on the internet. A Product Configurator is a web based interface that allows an end user to configure whatever product is being sold exactly the way they want it, get a price for the product “as configured”, and finally order the newly configured product. Many computer companies have offered configurators for years now, but the concept has spread to just about everywhere there is an option to be had. For instance, John Deere has a product configurator for their farm equipment, Panasonic has a Toughbook Configurator, Maserati has a Car Configurator, and there are countless others. All of the configurator examples above are for fully designed, mass produced products that are configured for a fairly simple set of static options such as color, amount of RAM, or the width of the rows of corn it will harvest. You cannot configure a slightly smaller car, or configure a corn combine into a manure spreader. Product Configurators are limited to adding and subtracting accessories that have already been developed for a base product, not for creating new products. 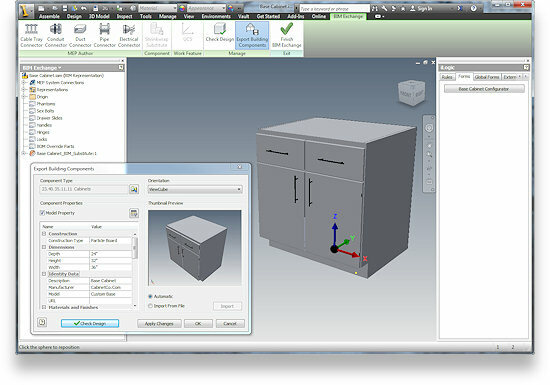 A Design Configurator can produce an entirely new product by setting product variables that are bound by rules that represent the real-world limitations of the product’s design. Shipping limitations, machine capacities, code compliance, etc. With all of the design boundaries clearly spelled out and enforced by the rules, all variations inherent within the underlying design are exposed to the designer as new product possibilities. 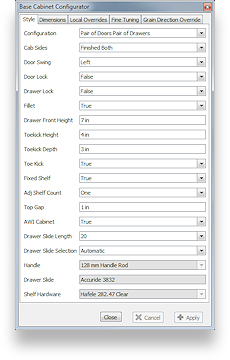 Bolts automatically resize, increase or decrease in quantity, and change patterns. Motors ramp up or down in size accordingly. Pipe diameters change –and at various points may change their material and specification. Exterior stairways add steps and adjust their rise and run to remain OSHA compliant. Estimates can be generated in minutes. Photo-realistic renderings can be made in minutes for proposals, literature, etc. With the new configurator, the Cooling Tower company’s clients can get anything they want within the company’s real-world capabilities instead of the company guessing what customers will want (and spending time and money pursuing dead end products). You will likely never know how many potential customers you have sent elsewhere by offering a ridged product line that doesn’t include the one they need! “We can custom build” is far less likely to seal the deal than is a sales strategy that emphasizes product fluidity as a company credo. Bottom line is that if your competition offers a design configurator first, they will gain a competitive advantage that you may not be able to overcome in today’s business climate.